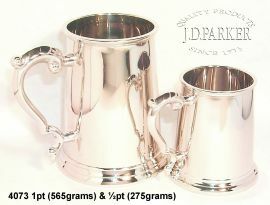 Size: -- Select -- 3.5" 5.5"
hese have been a big favourite with our customer for over 15 years, since we changed from the Lightweight Quality of Pewter to the Heavyweight Quality of these Brass Tankards. 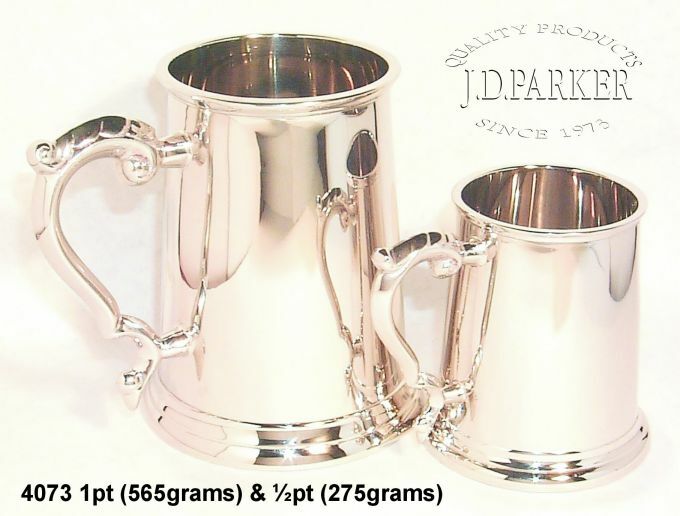 Weight is a major factor in choosing a Tankard and these really provide that and are fantastic to engrave due to the generous coating of Nickle. They are priced to include text engraving and a logo can be added on them for a set up fee of £10 + vat as a one-off payment). If we already have your logo on file, it's free!!! Call 01865736028 for more details. These are available in both 1pint and half pint sizes.